Today the percentage of women in technology is dropping. Worse, as reported by NCWIT the quit rate for tech women is more than twice as high (41%) as compared to men (17%) and 56% of women leave the field mid career. Clearly if we want more women in technology we have to fix the hole in our organizational bucket—and that means finding out what is causing the drain. This year’s International Women’s Day focus is Be Bold for Change. Change is a good goal once you know what really needs to be influenced, molded, or outright eliminated. We think the @Work Action Framework defines the target of this change for technology tech. But what are the best actions we can take? I believe in the power of bottom up change. Yes, upper management sets the tone for culture, values, and how things are done. But upper management has been bringing in “new methods” for years—and employees just nod and ignore it. Real change happens when everyday people start moving in a new direction. Instead, champions on the ground created awareness through talks, collecting data however they could, and dropping these finding into discussions with developers—who then wanted more. Engineers started using techniques like Contextual Design and product managers and marketers joined them. We talked about user-centered techniques in conferences and in books. University professors brought the practices to their students and started majors in HCI. Only after all this did senior managers and CEOs start calling for a focus on the user, the customer, and user experience. This is the story of grassroots change. It took more than 30 years. Grassroots efforts work. For women in technology efforts we have spent that same 30 years focused on and experimenting with policy changes, increased recruiting to fill the pipeline, parental leave, job sharing and onsite day care—apparently with no impact on the numbers. So maybe it is time for all of us all—women and men—to make the change happen from the bottom up. But this is a tougher challenge than HCI. To make a diverse workplace successful requires that we directly affect the psychosocial dynamic between people, how people are managed, and how we run ourselves as teams that must collaborate to make products. Sexual harassment aside, if you feel that you need to put on psychological armor to walk into your organization, that you aren’t valued, that you don’t know how to succeed, and that no one has your back–well, who would stay? We need to face the hard stuff. Benefits and equal pay will not “fix” this problem. At the center of anyone’s work is the psychological sense of community and feeling valued. The type of work is less important that these core human needs. So if we want women to succeed we need to foster the experiences laid out in the @Work Framework because they are a roadmap to producing these experiences. We believe that the @Work factors are critical to women and likely other diverse people and yes, for men too. But when women join a primarily male workplace, these factors can have a disproportionate impact on their self esteem, their sense of alienation, and their feeling of value. If you are carrying those feelings it is hard to take a risk. That means less innovation. So what can we do right now? Here is an action you can take for each of the @Work factors below. Create a Team Manifesto. Use it to clarify team values and how you want to work together. You don’t need to be Agile to borrow this technique that defines your values and practices so that you can hold each other accountable. Make sure everyone on the team gets to do something challenging. Round robin the good stuff and share the boring stuff. Managers, push challenges to the women who report to you, even if they resist or feel unqualified. Let them rise to the occasion. Teammates can push too! That’s grassroots action. But don’t forget to support them during the work! Be one. Do you have more experience than a new hire or others in your field? Great! You are automatically a role model. So expect to do some coaching and drop by to help. Be flexible NOW. Bring your team together with the manager and define your values around outside commitments. Figure out how to support people with kids (or aging parents or significant outside interests) so they can still be serious professionals. For example, remote work with video lets the team connect and applications like Slack keep people on the team in the loop. Separate the work into daytime collaborative work and nighttime alone work. This is what people with kids need. Use today’s tech! And if face-to-face is a MUST, tell them! Define a process for critiquing work. Having our work challenged is hard for everyone. We all can feel a self-esteem hit. But critique is central to good product design. So use explicit criteria of goodness (design or code principles, for example). Display the criteria during any review. List the good things in the work (plusses) and the problem things (minuses) based on how well the work meets the criteria. Create design ideas or suggestions to overcome the minuses. Now you have an impersonal professional process that everyone participates in. It’s about improving the work not about personal value. You don’t have to wait for management to change, or for every male person to see the light, or for business to get nicer, or for a culture to become completely transformed. Start chipping away bit by bit. Try these recommendations or create new ones. Focus first on changing the process—not the people. Let’s work together to create change on the ground. We can do it! 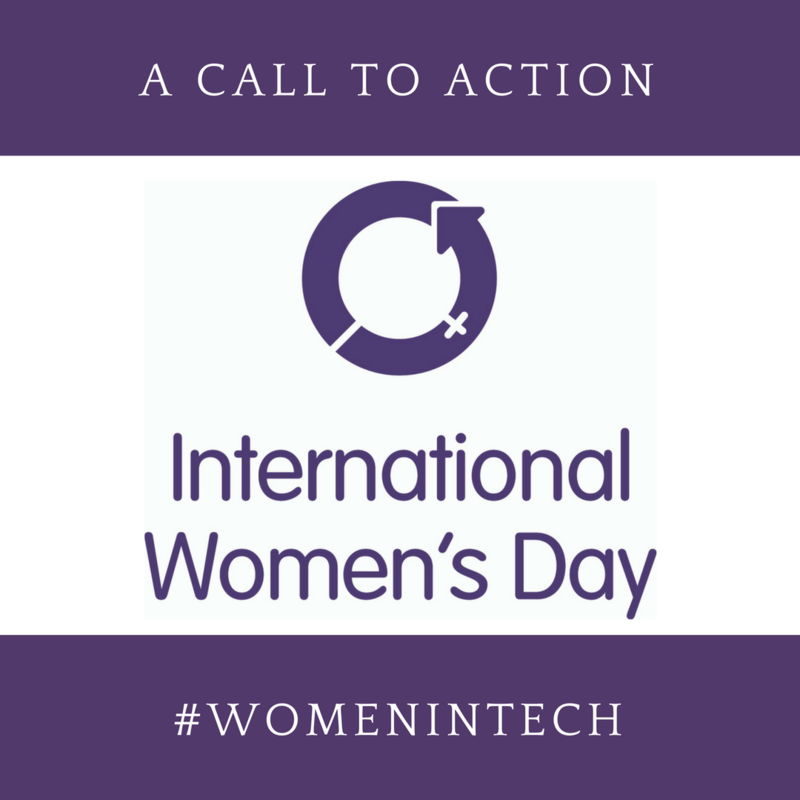 Learn more about the Women in Tech project and the @Work Action Framework.